It’s been four years since the launch of the government-backed Start Up Loans Scheme in 2012. As the South West’s contracted Delivery Partner since the beginning, SWIG Finance reached a major milestone this autumn investing over £6.75m into more than 1,000 start-ups across the region. Digital creative agency, Elixel were amongst the first enterprises in the region to successfully apply for assistance through the Start Up Loans Scheme. The Plymouth-based creative agency was founded in 2012 by Gavin Jones, Becky Veater, Paul Bird and Christian Cook and specialises in helping their clients maximise their digital potential. Since their launch in 2012, Elixel has achieved remarkable success, working with local, national and now even international businesses. As cofounders of Digital Plymouth, Elixel has helped to showcase on a national scale the strides in digital innovation being taken in the region and illustrate the potential of the digital economy in Devon & Cornwall. As well as quarterly events, Digital Plymouth hold an annual National Conference which was this year attended by more than 150 people, including the Guardian and RSA. John Peters, Managing Director at SWIG Finance says: “The Elixel directors have an enormous amount of expertise in the digital sector as well as the dedication and drive needed to run a successful business. It is fantastic to see how much they have grown since the initial investment and how much they are supporting the digital sector in Plymouth”. SWIG Finance accepts Start Up Loans applications of up to £25,000 from businesses trading up to two years and works with local business advisors to make sure the support provided to applicants is suitable. 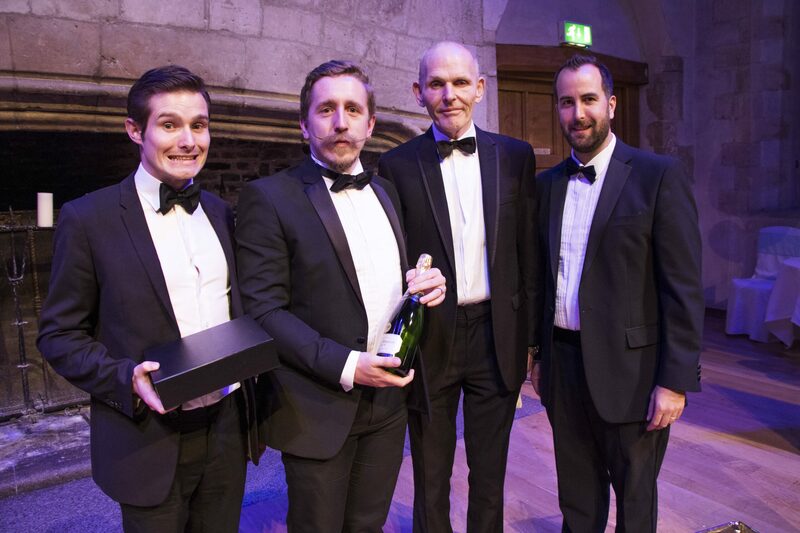 Elixel were recently presented with an award, at the annual DCBC dinner in celebration of the organisation’s membership milestone, for becoming DCBC’s 100th Member.